You know you need search engine opitmisation for your website- but do you really know what SEO is? Is there a secret mix of tweaks that will propel you to success within search results as so as you press “Save”?. Read on, to find out about the essentials of SEO, how search engines crawl and store information, and what happens when someone searches a keyword. 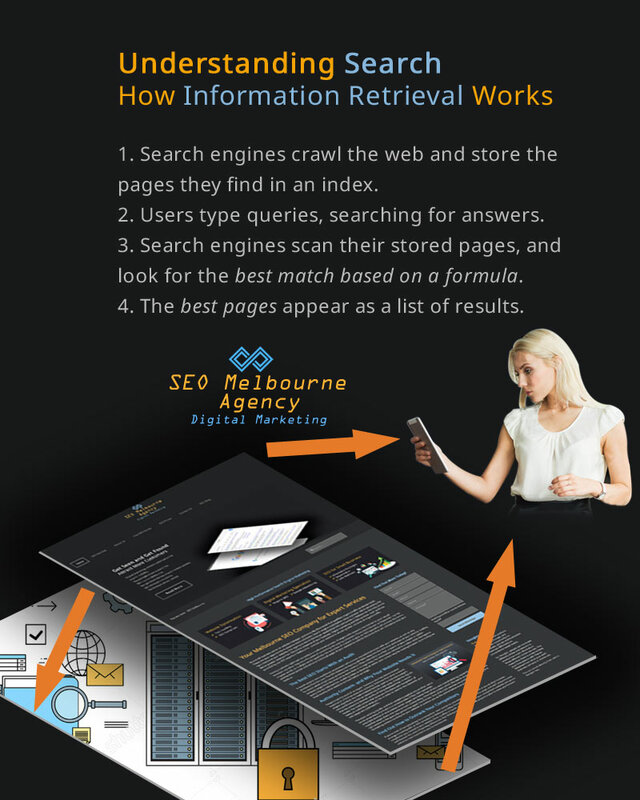 We’ll also look briefly- at what you can do to get your website found among the results. The seo service we provide to website owners and managers addresses these fundamentals first. Without the basic elements of SEO working at peak performance, any subsequent efforts are doomed. 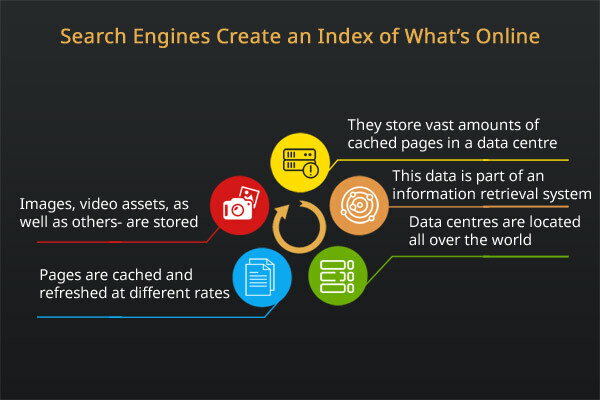 Search engines- Google, Yahoo, Bing and others- are information gatherers which use automated programs called bots, to crawl the web and retrieve web pages to store within an index. The bot cannot see an image or interact with a website by starting a chat, or completing a form in the same way a human visitor can. It cannot ‘get’ humour or laugh at your funny jokes. The bot’s primary thing is to go out and discover new pages through links, and revisit those pages the search engine has already indexed, so that any updates can be made to the cached copy of the page stored in the search engine’s database. 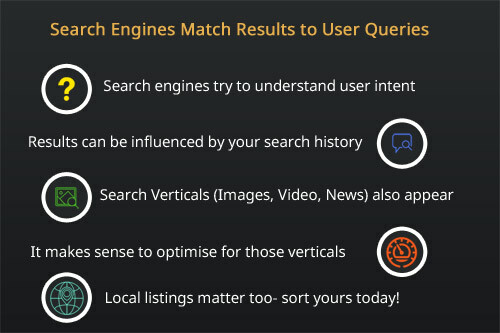 Search engines handle user queries by taking the request typed into the little search box, applying an algorithm to their massive database of pages to determine the best matches- and serving those results to the user. If your website is lucky enough to be among the 10 most relevant results, you will be on page 1. The formula of ranking a web page is not public information. The reason for that is to combat spam. In this context, we’ll use ‘spam’ to refer to low quality pages on the web which deliver no value whatsoever to someone searching for quality information. Ranking a Page- How Do Search Engines Select the Best? You’ll remember the mention of an algorithm a little earlier on. Search engines use the mathematical formula called an algorithm- to compare their database of pages to the criteria of what the perfect page for the user queries should look like. This happens in the blink of an eye- and the top qualifiers make it to the first page of search results. Pages are graded against 200 ranking factors. Those factors would include proximity of the words in the query to key terms within the page, the distribution and effectiveness of engagement objects, social validation, signals related to the user experience of the website and the perceived authority of the page compared to others. Many on-page elements and off-site elements work together here. 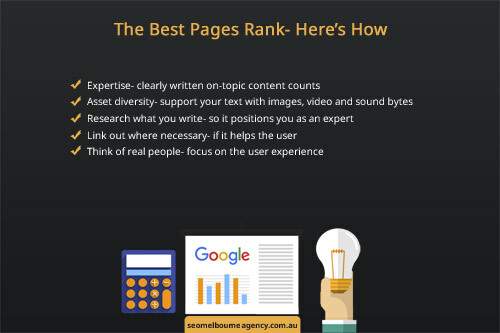 A web page can have exceptional content, without a massive social endorsement- and still outrank other pages. Many individual elements are rated, those ratings would be totaled up for a combined score and a decision made. Search engine optimisation is the process of developing and enhancing pages on a website in order to best meet the criteria for a perfect match to user queries. On any new website or web page, SEO should be implemented from the beginning- when the page or website is in draft stage. Thorough keyword research followed by asset and content development to align with known ranking criteria of highly performing pages are what SEO is all about. You never get a second chance at a first impression! It’s easier to make a page do well in search results if it’s made well at the start, rather than try and fix it all later. Pages made with attention to user experience, content and the ability to encourage and attract natural shares, links and citations by other, real people- will always perform well. 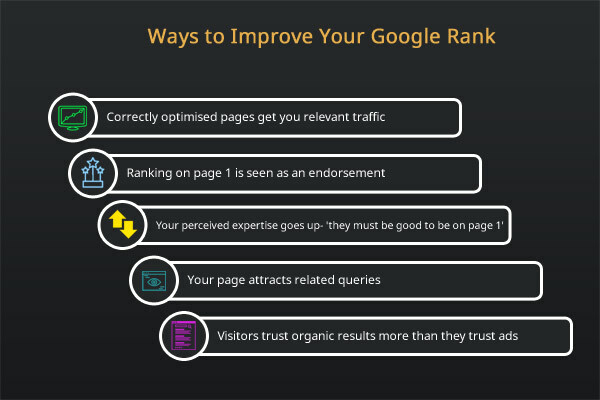 What Else Can Be Done for Better SEO? Ensure your content is original, unique and relevant. Don’t every copy someone else’s work! Search engines compare snippets of text with other snippets, paragraphs with other paragraphs and complete pages with other pages on the internet. You must stand out with a high uniqueness rating. Add value to the experience the user has on your website- provide more engagement objects like images, video and audio files- and you’re well on the way. Ask yourself whether you would send a link to the page over to a friend to help them learn more about the subject. Would you do what you were doing, to the page if SEO did not exist? 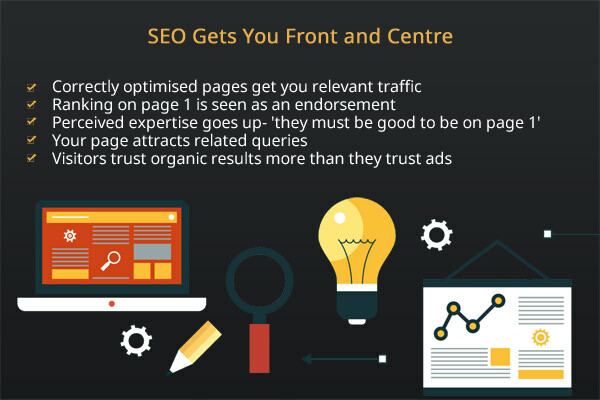 Move beyond the basics of search engine optimisation. Consider enrolling for SEO training which can be in a group session or onsite. Courses exist for different ability levels. 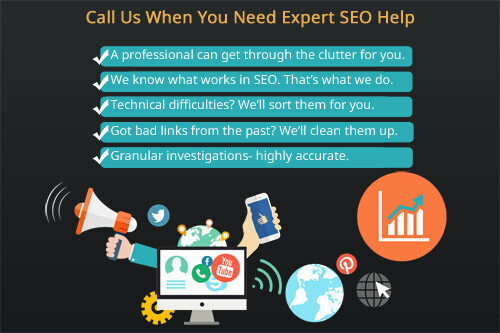 If you prefer to have experienced SEO practitioners handle your website enhancements, contact our SEO company. We’ll take a look at your website and internet marketing, and move you beyond the basics of SEO. Hopefully you’ve got a better insight into the essentials of how SEO works when user queries get submitted to search engines. Your website can be penalised by Google. Penalties can be temporary or permanent. and it goes without saying that you should do everything you can do avoid having these penalties applied in the first instance. If you have had a sudden drop in ranking, or if your website has been removed from the Google Index, this can often be corrected if approached early. Use our contact form to get in touch today.